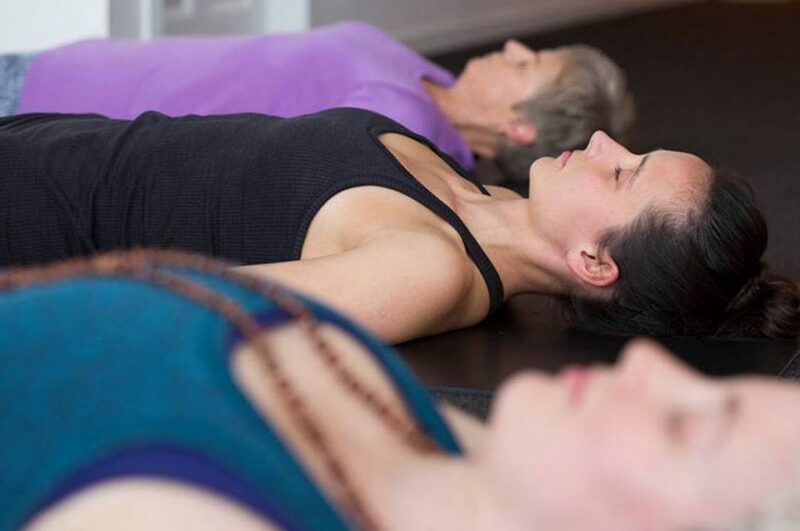 These days, Restorative Yoga and Yin Yoga are bandied about as synonymous. Senior Bliss Baby Yoga teacher, Jennifer Allen teaches both styles and helps clear up the confusion – they are in many ways two very different approaches to yoga. Read on to understand how. Based on the teachings of B.K.S Iyengar, Restorative Yoga at its core is a practice of passive healing. It is intended to carry the student into a deep state of relaxation by completely supporting the body in propped-up asanas, or postures. This allows the practitioner to surrender completely, allowing prana, or vital life energy, to bathe the body in nourishment. The kind of experience we are seeking when practicing restorative yoga is very subtle. The physical sensations the student should feel are minimal as the body finds space to gently open into the support of the props. This is unlike other styles of yoga where the student may be asked to use their breath as a coping mechanism for intense sensations as tight musculature begins to release. I like to remind my students during a Restorative practice that it is an act of doing, without doing. In other words, through the use of props as support, one is able to surrender completely any holding or tension in the body, exerting absolutely no effort in this process. Jennifer Allen, founder of Jayayoga studio and teacher training school in New Zealand, is a presenter on our Bliss Baby Yoga Online Prenatal and Postnatal Anatomy and Physiology Extension Module, and also shares Bliss Baby Yoga Prenatal Yoga Teacher Training courses internationally. Our Bliss Baby Yoga Level 1 Restorative Yoga Teacher Training course is now available in an Online delivery format, accessible anywhere in the world. Jennifer Allen (E-RYT 500, RPYT, YACEP) is a yoga teacher and yoga therapist, who teaches a variety of classes in Vinyasa Flow, Yin Yoga, Prenatal & Postnatal Yoga, Yoga Therapy and mat/reformer Pilates. 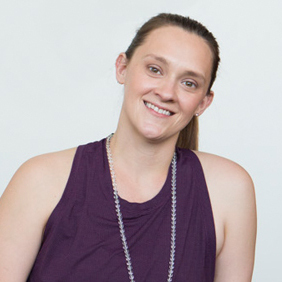 Jennifer has worked as a Senior Bliss Baby Yoga Prenatal, Postnatal and Restorative Yoga course facilitator, and teacher trainer for Byron Yoga Centre Yoga Teacher Training courses in Australia and internationally. Jennifer now facilitates her own 200 hr, 300 hr YTT and other specialty yoga teacher training courses through her Jayayoga studio in Auckland, New Zealand. As a mother of two, Jennifer has experienced first-hand the many benefits of a regular yoga practice to support her through the amazing journey of pregnancy, birth and motherhood, and is keen to share her knowledge and experience.